If you run a business of any kind in Dandenong, you probably have a vested interest in making sure that it remains safe. Putting proper security measures in place helps to keep your assets and personnel from being interfered with by unexpected variables, making it easier for you to carry on business as usual. Of course, you’ll want to put some thought into the security features you install at your facility before you make any decisions. Even the most basic elements need to be carefully considered—like fencing, for example. Fencing might seem like a simple matter on the outside, but fences come in a variety of shapes and sizes, each of which are better suited to some applications than they are to others. Steel fencing is exceptionally strong, for example—but not every property requires that level of strength, and steel is generally more expensive than other materials. While steel fencing is certainly a durable option for many large commercial and industrial businesses, smaller businesses and local organisations like schools may benefit from more versatile and cost-effective products. When it comes to versatility, one of the best options on the market is chain wire fencing. Dandenong small businesses and public buildings often rely on chain wire for its ability to adapt readily to various uses, and its comparative ease of maintenance versus other materials. Perhaps best of all is that chain wire is much more affordable than steel or wrought iron, making it easy to order and install on an assortment of budgets. 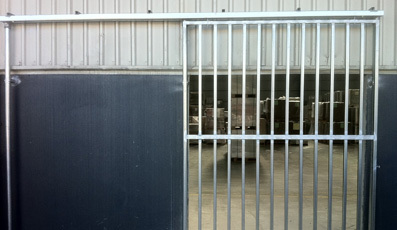 If you’re seeking an adaptable and economic security solution, chain link fences may suit your Dandenong business best. Once you’ve decided on chain link fencing, you’ll need to find a company that can install it for you quickly. 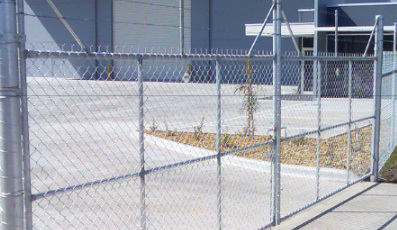 When you’re searching for a company to provide you with high quality chain mesh fencing, you’ll want to find one with a proven track record of excellence. Fencing companies that produce satisfying results tend to stick around a lot longer than those whose products or installation methods are less refined. 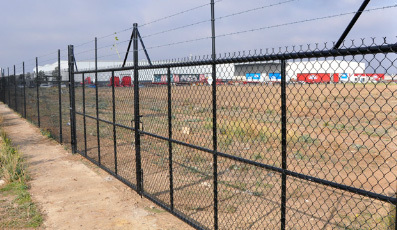 For example, look at the 24-year-old Guardian Fencing, the staff of which are highly trained and able to provide unique fencing solutions for diverse properties. Ultimately, you’ll have to decide for yourself what kind of fencing will serve your property best, but it’s hard to go wrong with chain mesh fences unless you need to keep out an army. Whatever you decide to use, the important thing is to match an appropriate level of security for your property with a price you can easily afford. Avoid paying too much for a fence that offers more protection than you’ll need, but make sure you still invest in a company that produces quality results. For more information on the different types of fencing available to you, or to get a recommendation, contact Guardian Fences today with your questions.